The Blueair 503 Air Purifier with HEPASilent Filters has been discontinued. 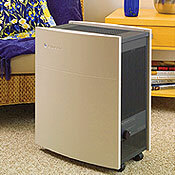 The Blueair 503 air purifier has been discontinued. 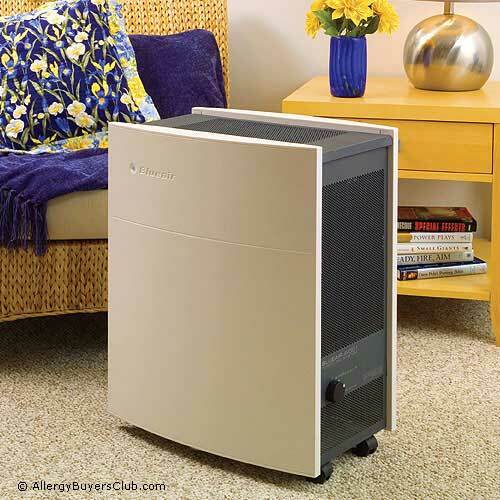 As an alternative we recommend the Blueair Classic 505 Air Purifier. Replacement filters are available for purchase below. Prefer a quiet bedroom at night? Then Blueair is the answer. 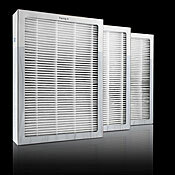 Sleek Swedish styling and HEPASilent™ filtration technology makes Blueair a very popular choice. Combining ionizer, electrostatic, carbon and HEPA-grade filter technologies without producing any external ozone; the Blueair delivers large amounts of clean air quietly. Blueairs 3-stage filter technology achieves better results with CADR ratings that are among the highest in the industry. 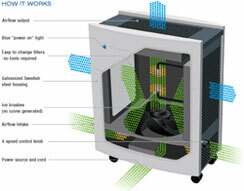 The Blueair air purifiers are energy star qualified and efficiently clean the air in rooms up to 1406 sq. ft. If you have a larger sized room, you may want to consider the Blueair 600 Series for rooms up to 698 sq. 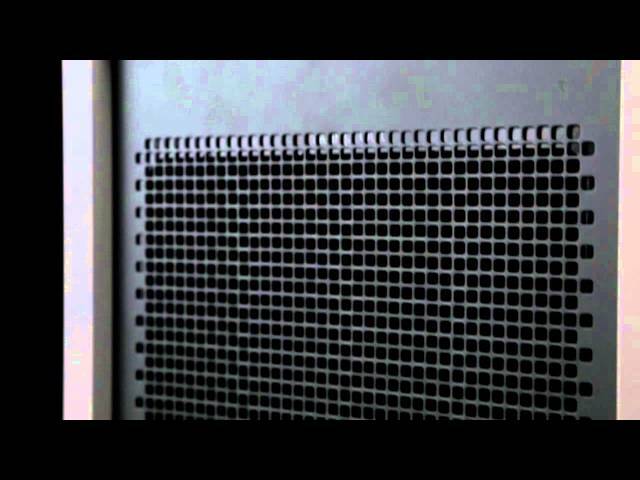 ft., or for a smaller sized room the Blueair 400 Series covers up to 365 sq. ft.
Blueair 500 Series SurroundAir™ system achieves peak performance without annoying drafts by drawing in dirty air from the sides and bottom moving it through a less dense filter media, and releasing clean, filtered air from the sides and top. This Blueair is their original model and continues to be one of their most sought after air purifiers. Its fine Swedish design and quality are responsible for the construction and performance that would be expected in an air cleaner costing much more. It is simple to operate and maintain and will clean a larger than average room. 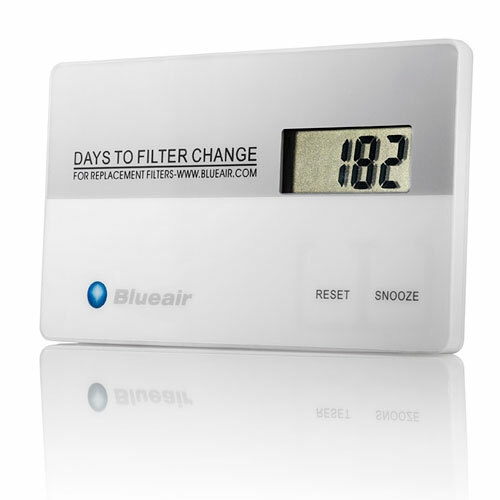 Filter Change Indicator: the 503 includes a magnetic timer that reminds you to change your filters every 6 months as recommended for optimal performance of your Blueair air purifier. We highly recommend the Blueair 503 series for its quiet operation and ability to clean a larger than average room. We like the fact that one can run it on speed 3 to clean a large bedroom while operating at a noise level to not affect one’s sleep. We love Blueair's simple design and operation along with the steel construction and the simplicity of changing the filters. We feel Blueair should have included a separate pre-filter to extend the life of the main filter from 6 months to 1 year. Furthermore, filtration performance could be increased by an improvement in the seal between the filter and the housing to prevent some residual air flow by-passing which was evident when we measured the particle count of the air in certain locations. However, our overall impression of this air purifier warrants a 'very good plus' rating due to its cleaning performance by achieving a high number of air changes per hour while maintaining a quiet environment for those who are sensitive to noise. If you demand a quiet, reliable and simple to use air purifier for a medium to large size room, this product would be the choice. Cleaning range: cleans air in rooms up to 580 sq. ft.
Includes 3 HEPASilent particle & gas filters for the Blueair 501, 503, 550E, 601, 603, 650E air purifiers. One complete filter change. Replace every 6 months.